Cleancore started with the help of The Prince’s Trust whom gave us the business knowledge and financial skills to move forward with our business idea. They helped us to understand our market and competition and we were able to network with other professionals which allowed us to overcome some of the errors that our competitors were making. Cleancore is a family run business started by 2 brothers with a passion for perfection. Using that passion we started a small Jetwashing business named: Just Jetwash. This service became quite popular in the Derby and Nottingham areas and despite some heavy competition customers were still choosing our service due to our fine details and high levels of customer service. During this period, we discovered a need for more cleaning services, this then lead onto us becoming trained in Carpet and Upholstery cleaning and specialised exterior cleaning and sealing. Our original business name then became unsuitable so we rebranded the business with our new vision, this then lead to Cleancore being born. 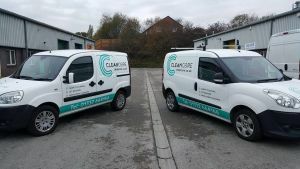 Since the start of Cleancore we have worked with over 300 customers and many businesses including: WebPlus, Your Move, Burchell Edwards and Martin & co to name a few. Our vision is to create a company that caters to every one of your cleaning needs. A single company which can cater all kinds of service that our customers demand. From ovens, showers, whole house cleans to gutters, windows & brickwork. We want to be your only contact for when you require a quality and friendly service that you can trust. To achieve our vision we look to increase our customer base through providing a very high level of quality by the means of our current services. With our returning customer base we will grow the business through adding new services which we will put in place when we are confident that we are the best at what we do. This in time will build up to be the ultimate cleaning company, we want to be our customers first choice when looking for a cleaning company.